The Leitner Center is excited to screen WAR DON DON. In the heart of Freetown, the capital of Sierra Leone, United Nations soldiers guard a heavily fortified building known as the “special court.” Inside, Issa Sesay awaits his trial. Prosecutors argue that Sesay is a war criminal, guilty of crimes against humanity. His defenders insist that he is a reluctant fighter who protected civilians and played a crucial role in forging the peace. 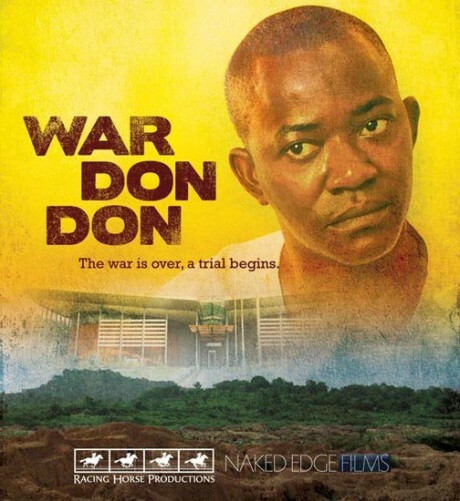 War Don Don tells the story of his sensational trial with unprecedented access to prosecutors, defense attorneys, victims and, from behind bars, Sesay himself. Can the trial of one man uncover the truth of a traumatic past? This event is free and open to the public. Snacks will be served. For more information about the film, please visit the official website here. This film is a selection from the Human Rights Watch Traveling Film Festival.